The people behind Kanjilicious are a pan-Asian collection of illustrators, writers, designers, gamers, drummers, and engineers that love making cool things, breaking them, and then putting them back together ever better. Kanjilicious LLC is an independent, family-owned and operated, digital studio that creates mobile applications, games, sticker packs, and various wearable swag to encourage and support the acquisition of Asian languages—particularly Japanese—in support of students and learners around the world. Most of our projects are labors of love, or side-projects fueled by a passion of Japan, the Japanese Language, and the challenge of learning languages that have much different writing systems from English. We’re based in Southern California, with outposts in San Francisco and Nagoya, Japan, and we are always interested in collaborating with like-minded, interesting individuals with a love of the Pacific Rim. The Kanjilicious app is a collaboration between Kanjilicious LLC, the originator of the Game Your Japanese idea, and Super Toy Box, an independent studio of designers, developers and artists. In the beginning, the team took the original idea and created a Kickstarter campaign to fund the development of the original MVP. 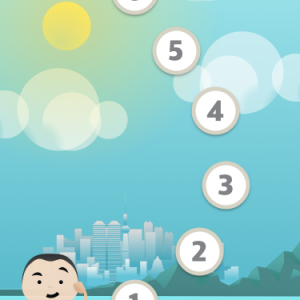 Over the course of two years of development (as a side project for all involved) we have released three versions of the app, slowly building out new levels and new storyline illustrations. Production continues, and we are working on additional levels up to sixth grade, also known as kyōiku kanji. Kyōiku kanji (教育漢字), also known as Gakunenbetsu kanji haitōhyō (学年別漢字配当表) is a master list of 1,006 Chinese characters, and their associated readings developed and maintained by the Japanese Ministry of Education, that prescribes which kanji, and which readings of kanji, Japanese schoolchildren should learn for each year of elementary school. Although the list is designed for Japanese children, it can also be used as a sequence of learning characters by non-native speakers as a means of focusing on the most commonly used kanji. It’s the list that some of the team’s children are studying in Saturday school, as well as the list that many of us studied in High School or College. 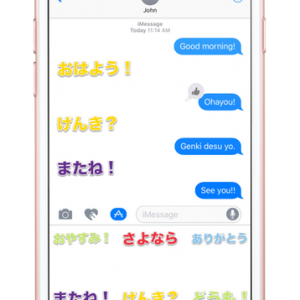 Along the way we also have been producing smaller supporting projects, like the Hiragana Sticker Pack for Apple iMessages, as well as collaborating on additional other relevant projects which will will release over the next few months. 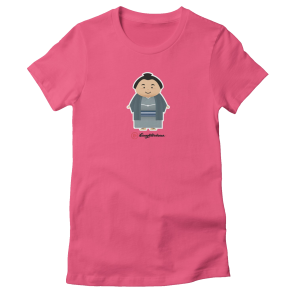 Most of what we build is digital: learning apps for hiragana, katakana, and kanji; sticker packs for hiragana and katakana; and t-shirts for just about anyone. We are always looking for people who want to help. If you’re interested in pitching in, please send us a message from the contact us page.